College of Southern Maryland‘s Wellness and Aquatics Center in Building D at the Leonardtown Campus will be closing for a week of maintenance starting Saturday, Aug. 25, at 1 pm. The Leonardtown Pool, located at 22950 Hollywood Road, will reopen Tuesday, Sept. 4, at the regular operating time. While the center is closed, the competition pool will be drained and receive a new plaster coat and the fitness center will get a new floor and paint job. When the center reopens, it will be better than ever and ready to go for another year. Anyone who has a membership to the Leonardtown Pool and the Wellness and Aquatic Center can use the Wellness Center at the CSM Prince Frederick Campus, located at 115 Williams Road in Prince Frederick, or the Wellness and Aquatic Center at the La Plata Campus, located at 8730 Mitchell Road in La Plata, between Aug. 27 and 31. To learn more about CSM’s wellness, fitness and aquatics offerings at three of its campuses, visit the college online or call 301-539-4760. The fitness centers are available to current students, but also available to the public for memberships. All three centers offer fitness classes, workout equipment, and a pleasant space to work out. 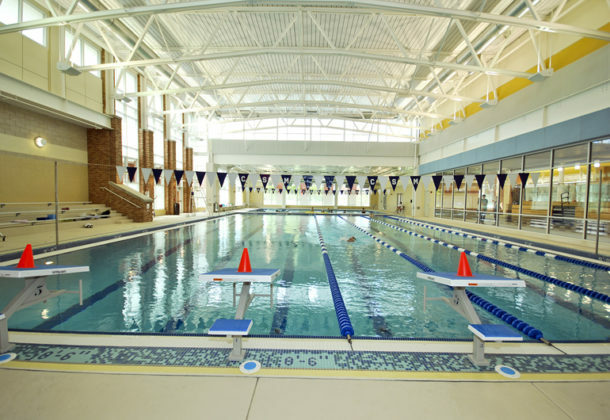 La Plata and Prince Frederick also have the large pools that are used for classes that range from Paddleboard Yoga to water aerobics, for lap swims, for lessons, or just for hanging out in the pool and blowing off steam between classes. Check out the college’s website to see the pool hours for various activities and when it’s available for open swim. You can also check out the fitness site to learn more about the available classes and gym schedules, which may vary slightly at each campus location. For more about the College of Southern Maryland and everything it has to offer, visit its Leader member page.